The GSA sought a facility that met their P-100 guidelines, performance specifications and the FBI’s Program of Requirements (POR) and achieved occupancy by December 2014. Despite a request to complete various changes and additions for the electrical and communication components, which was estimated to add four months to the project, design-build allowed Hensel Phelps to work closely with the owner and furniture vendor to facilitate the manufacturing of the systems and shorten lead times. This achievement allowed the team to meet the original final completion date. 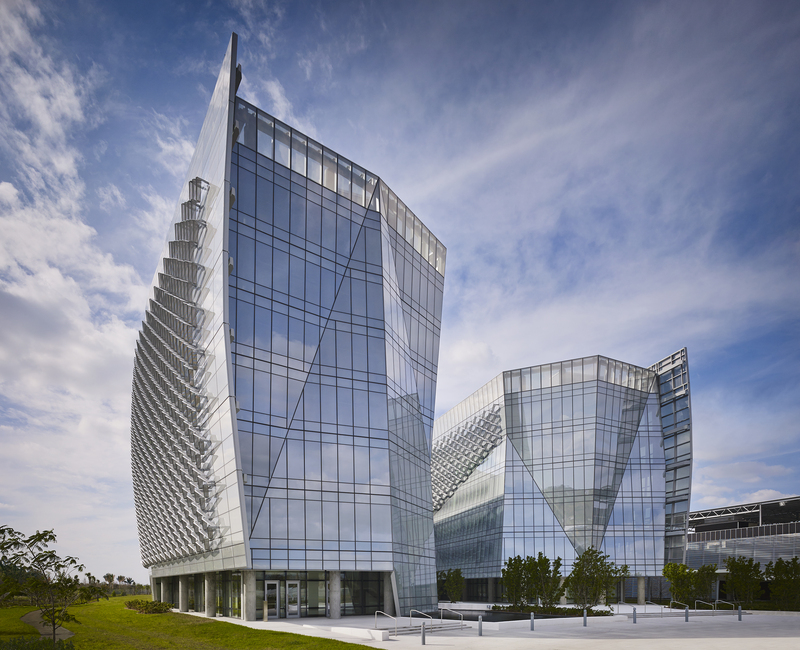 This was a bridging design-build project consisting of four buildings in a campus environment located near the Everglades. This project was designed and built to be LEED Platinum Core and Shell (C&S) certified, LEED Gold Commercial Interiors (CI) certified and Sustainable Sites Initiative (SSI) Two Star certified. Totaling 383,000 square feet, the project includes enhanced security specifications, an enclosed parking structure and multiple buildings on the 20-acre site. The GSA required a facility that met the Level 4 Interagency Security Committee criteria. The 303,552 square feet combined, six- and seven-story office towers are connected by a six-story link and include executive office spaces, private offices, team office spaces, conference space, storage, a fitness center, computer training, treatment rooms, workrooms and an armory. Design-Builder: Hensel Phelps Construction Co. Specialty Contractors: M.C. Dean, Inc. (Electrical Subcontractor), John J. Kirlin, Inc., Enclos Corp. Specialty Consultants: Gordon H. Smith Corporation, Hinman Consulting Engineers, Inc.